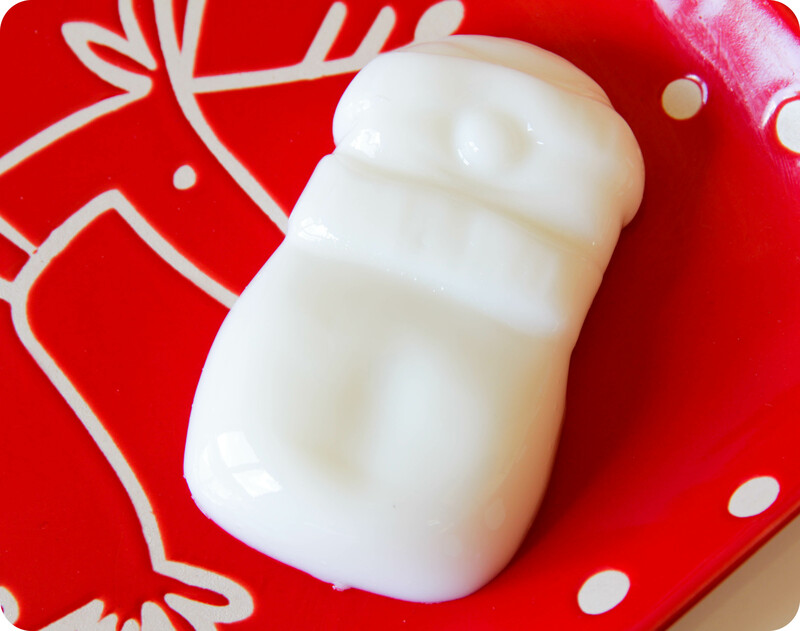 Imagine Flubber in the form of a snowman, scented with Carrot extract, Sicilian Lemon- and Bergamot oil – yep, today I am reviewing the LUSH Snowman Shower Jelly. Ok, I must admit I was a bit of a slowpoke when it came to this Shower Jelly from LUSH. Don’t get me wrong, I immediately popped the tub into my basket along with most of the other Christmas 2014 collection items because well…it’s LUSH, it’s Christmas and I was high on LUSH fumes. I initially thought it was a normal shaped Shower Jelly (like Whoosh and Sweetie Pie), I did notice an oddness about the shape as I looked at it in the tub but just thought it was an imperfection. When I arrived home and I started testing him out, I quickly noticed he’s a Shower Jelly in the shape of a Snowman! Genius! This little wobbler contains antiseptic & anti-inflammatory Buchu Oil (this also gives it a slight blackcurrant aroma), Carrot infusion (rich in antioxidant Beta Carotene and Vitamins A, B, C, D), uplifting Sicilian Lemon Oil, and cleansing Bergamot Oil – all of these mixed together make this shower jelly an instant mood booster. Snowman Shower Jelly shares his scent with LUSH’s Carrot Soap and Bunch Of Carrots Bubble Bar, I would personally describe the scent as zesty & sweet, slightly blackcurrant-y with a sour twist. The aroma intensifies when it is lathered up in the shower, so it’s definitely a great pick-me-up for those early mornings. Carrageenan (seaweed) and glycerine help Frosty The Snowman to glide over the skin, leaving it feeling soft and cleansed. Carrageenan is has been very controversial in food products, but it is 100% safe to use in wash-off skincare products i.e. shampoos, body washes and cleansers. This is quite a rubbery Shower Jelly (a bit more sturdy than for example Whoosh and Sweetie Pie), which I don’t really mind since it means he won’t shrink as much with each use. While I wouldn’t describe the lather as particularly creamy, my skin did feel soft and comfortable after using it with my bath lily / loofah. How do you even use a blob of jell-o to wash yourself, you ask? There are several ways and everyone has their own preference. Firstly: You can pinch a small piece off and rub it directly onto the skin. The amount of lather this creates will mainly depend on the type of Shower Jelly and the size of the piece you’re using. I personally find this method doesn’t create much of a lather and if the jelly becomes too wet, it usually slips out of my hand. Secondly: You can use the whole Shower Jelly as is, and rub it on a bath lily, shower puff or exfoliating glove to create a creamy lather before rubbing it all over your body. This is my preferred way of using these wibbly wobbly jellies. And thirdly: You can use pieces of the jelly as you would a Bubble Bar, rubbing it between your hands under a running tap to create mounds of bubbles. Top Tip: And if you still struggle to get a handle on this wibbly & wobbly little guy, place a piece of jelly on each palm and put your exfoliating gloves over on top of the pieces. Rub your hands together and the jelly will lather up through the gloves, this also ensures the jelly won’t slip through your fingers and fall on the shower floor. 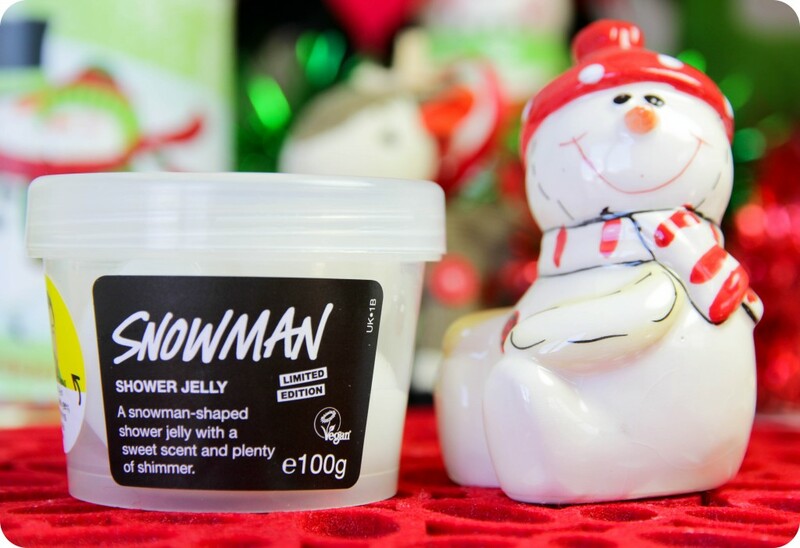 Snowman Shower Jelly retails for R 70,00 and is currently out of stock in the LUSH online store (hopefully it will be back it stock soon), but I’m sure you will find it in stock at the LUSH stores (Cavendish, V&A Waterfront, Canal Walk and Gateway). Oh, and remember ’12 Days Of LUSHmas’ ends on Sunday and I will be hosting a very special GIVEAWAY – so make sure you check out Day 1 this coming Sunday. You have got an amazing budget for all this stuff….lol. Wow he looks so soft..
What a cute little fella! Would love to try the shower jelly!